Members of Cahaba Valley, Ala., Lodge No. 1738 make sure dialysis patients at the Shelby County area Kidney Dialysis Centers have everything they need to make their stay comfortable. 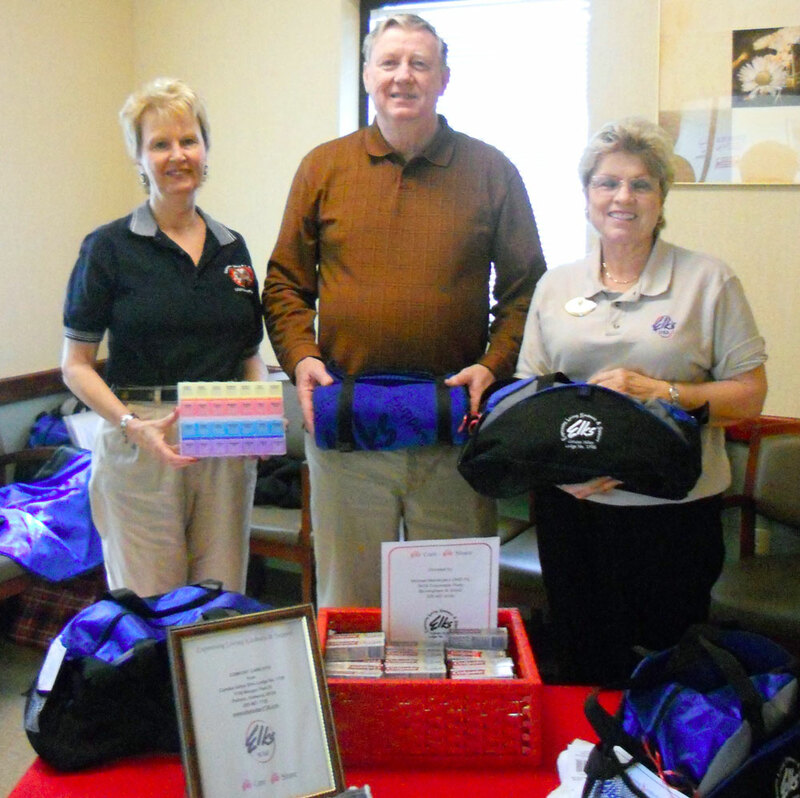 Elks use their Impact Grant to purchase and assemble comfort care kits for patients, which include a blanket with the Elks logo. Elks also host parties at the Dialysis Centers to build a sense of community. To date, Elks have delivered 136 comfort care kits, 130 snack packs, and 100 caregiver gift bags—showing patients the great things that Elks do! Outstanding! We are proud of what you do for your community and the patients at the Kidney Dialysis Center. Keep up the good works showing that "Elks Care - Elks Share".